Planning a long flight with a layover in Paris? The City of Light has so much to offer that Paris is always a good idea, even if you can only spend a day or less. Although Paris is the biggest city in France, the city is compact and easy to navigate by metro or by bike. So if your next flight includes a Paris layover at CDG Airport don’t hesitate to go to the city and experience some of its unique things to do in Paris. A layover is a stop in an intermediate airport to change from one plane to another to reach your final destination. Another frequently asked question is the difference layover vs stopover. A stopover is a long break in a flight itinerary (ie. to refuel), but it does not imply any change of plane. Normally layovers are short (a few hours) but sometimes layovers are longer or even overnight layovers. Some people like to find flights with long layovers, especially if it’s during the day. Long layover flights allow passengers to exit at the intermediate airport and visit the city. YES, you can (check the conditions on our FAQ) if there is enough time to enjoy some bits of the city. Getting from Paris airport to city center usually takes between 25 min to 1 hour (depending on the means of transportation) so we recommend using your layover time for visiting Paris only if you have at least 5 hours between your flights. Here’s a taste of Paris things to do with 5 hours or more. NB: The estimated times do not include the transportation time from Paris airport to city center. Many people dream of visiting the Eiffel Tower so why not using a short Paris layover to go from CDG Airport to Eiffel Tower to see the Tour Eiffel (Eiffel Tower in French) with your own eyes? With a 5 hour layover in Paris, you want to move as fast as you can. We recommend a private transfer, a door-to-door service with a professional driver who meets you after the customs so you don’t waste time with public transportation or looking for the taxi terminal. A ride from Charles de Gaulle Airport to Eiffel Tower in Paris 7 takes 25 min with a Paris airport shuttle while if you go from CDG to Eiffel Tower by public transportation it will take around 1 hour. Can you climb the Eiffel Tower with a 5 hour layover in Paris? In theory YES, but only if you buy Eiffel Tower tickets online. If you decide to buy Eiffel Tower tickets online, on the Eiffel Tower’s website, you will pick a date and also a time slot. Time slots are every hour which means that you are reducing the possibility to wait in line a lot. But what if your first flight is delayed and you miss your Eiffel Tower time slot? PRO TIP: We recommend buying Skip the Line Eiffel Tower tickets like the ones proposed below. With these tickets, you meet a guide at a convenient meeting point and receive your skip the line ticket from him. Then, you follow the guide to the Eiffel Tower where you will skip two waiting lines and within minutes get in the elevators. As big as Paris is, it is a surprisingly walkable city. One can spend a day on foot and not tire of the sights. Since you are on a layover in Paris and CDG airport is not the most exciting airport in the world, head out for a unique stroll in the City of Light with our favorite Paris Layover Tour. From Paris airport to city, take the RER B and Metro (42min) and get out at Cité metro station. You’ve just landed to Ile de la Cité (Paris 4), the heart of Paris. From here look for Notre Dame’s twin towers, this will be the starting point of this unique Paris Layover Tour. First of all, admire Notre Dame‘s main facade, this cathedral is a jewel of Gothic architecture and one of Paris’ main sights. The cathedral is dedicated to Our Lady of Paris (Notre Dame de Paris). You can see her represented on the rose-window. If you look now at the ground, you should be able to find quickly (there are always some tourists around) a plaque indicating France’s km 0. All the French roads are measured from this point. Now turn 180°, take rue d’Arcole and cross the bridge. You just reached Seine’s right bank. Start walking North-West, always having the river on your left side. From here you have a better view of Ile de la Cité and you can admire sights like La Conciergerie (the building with the pointed towers), beautiful Parisian architecture or Pont Neuf (New Bridge), actually the oldest bridge in Paris. A few minutes’ walk from Pont Neuf you will find the Louvre Museum. Originally built as Royal Palace, it is today one of the best museums in the world. The Louvre deserves more than a short layover but still, you can admire Pei’s glass pyramid located on its inner court. Here we propose to leave the Seine’s right bank and enjoy a pleasant walk along the famous Tuileries Gardens, in Paris 1. Designed for Queen Catherine de Medici in 1564, these gardens were re-landscaped in 1664 in a French formal garden style. Enjoy the green and flowers but also some sculptures by Maillol, Rodin, and Giacometti. If you need some rest, the gardens’ two ponds are perfect for relaxation. This green stroll ends at Place de la Concorde with an Egyptian Obelisk. Brought by Napoleon I directly from Egypt, it was a kind of souvenir for his beloved Josephine. Finally, cross Pont Alexandre III to Paris 7, on the Seine’s left bank. The golden cupola just in front of you belongs to Les Invalides, a military hospital and Napoleon’s final resting place. Go on walking West, along Quai Branly, to reach (or get a closer view of) the Eiffel Tower for your last selfies. By now, it’s probably time to go back to the airport, it’s time to take the metro at École Militaire station or your private transfer to board on your last flight. Use this same Paris Layover Tour if you have a 6 hour layover in Paris but with 6 hours in Paris, you can take it easier. With a 7 hour layover in Paris, we suggest combining one of our proposals for 5 hours in Paris with some great views. Climb the stairs of Paris’ most iconic monuments for unique views of the City of Light. Our favorite ones are Notre Dame’s bell towers, Pantheon’s cupola (only from April to mid-October), Tour de Montparnasse, and Arche de Triomphe. If you decide to do our suggested Paris Layover Tour, the best choice for unique views is Notre Dame Towers, just before starting the tour. while Montparnasse Tower is the furthest option. Again, Skip the Line in Paris Tickets will be your best friends because you don’t want to waste your precious few hours in Paris waiting in a line. 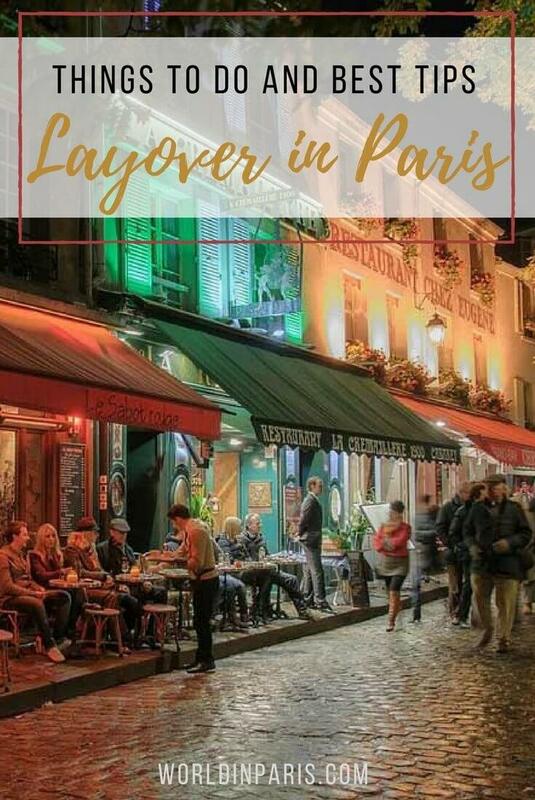 If you have a 10 hour layover in Paris you can combine one of our proposals for a 5 hour layover in Paris with a stroll around the quintessential Paris neighborhood of Montmartre. Stretch those legs before getting back on your last plane and tour the city’s most famous “quartier” to enjoy its bohemian atmosphere. Montmartre has everything we imagine when we think about a day in Paris: street painters, nice crêperies, some nice sights, and the enchanting sound of the accordions. If you are traveling on a budget, you have enough time to use the public transportation. From Paris airport to Montmartre, take the RER B and Metro and get out at Anvers metro station (42min). 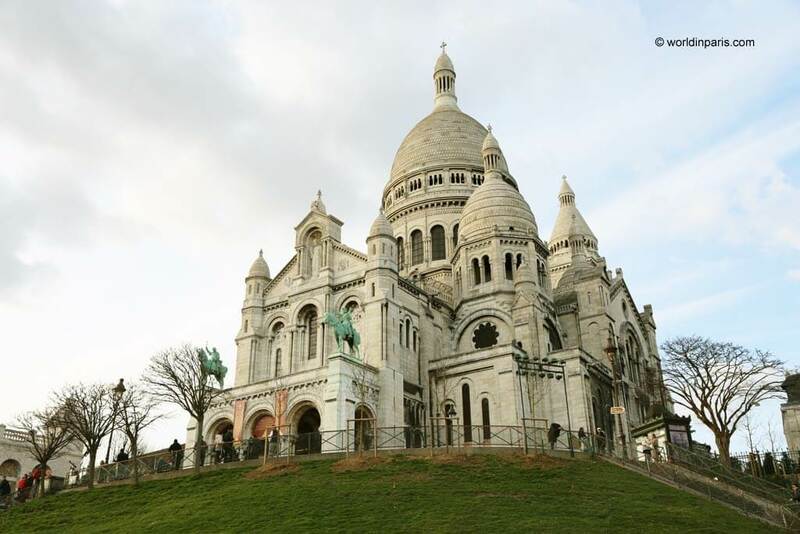 From there, rue de Steinkerque takes you directly to Sacré Coeur Basilica, on the top of the hill. Our suggestion here is to climb the hill for unique views of Paris and maybe a quick visit to the basilica. After that forget maps and itineraries and just get lost through these winding alleys to soak up Montmartre’s bohemian atmosphere. Perhaps take a short break in a Parisian café for a nice coffee and people watching. During a 12 hour layover in Paris, you can combine many of our previous proposals with a coffee break and nice lunch in a Parisian brasserie. You can also think about using 2-3 hours to visit the Louvre or walk the covered passages of Paris is the weather is not good. There are so many interesting Paris things to do that we recommend doing a short wish list and calculate the time you need to do each of the activities plus the time to go from one sight to the following one. Check our post about the Parisian Metro to learn how to move through the city faster. A Paris Layover during dinner time? If you found a great deal on a connecting flight through Paris, skip the Paris airport restaurants and head into the city. 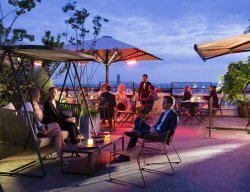 For a unique meal on your layover in Paris, head to Les Ombres, a restaurant located on the rooftop terrace of the Musée du Quai Branly in Paris 7. Apart from its good French cuisine, the unique view over the sparkling Eiffel Tower will delight you. Maybe you are just looking for a unique place to have a drink and wash down that terrible airplane food? With only a layover in Paris, it can’t just be any bar. Paris has some beautiful rooftops to enjoy unique views with your favorite cocktail. In the summertime, the rooftop bars are the Parisians’ place to be. Try Le Perchoir du Marais (37 rue de la Verrerie, Paris 4), the most fashionable terrace of Paris with breathtaking views. The formula for happiness? Probably its cool decoration, good music and cocktails, trendy Parisians and good staples. Up on the Roof (4 rue Danton, Paris 6), at the heart of the Latin Quarter, is a really different kind of place. This is a rooftop with a view on Notre-Dame, the Palais de Justice and the Seine with its passing Bateaux Mouches. There are so many cool rooftop bars in Paris that in the end, we decided to write a dedicated post . . .
Another cool option for your overnight layover in Paris is a Cabaret Show. Cabarets are a popular tourist attraction in Paris at night. Because, YES! bars and nightclubs exist everywhere in the world but where else than in Paris can you find such a choice of quality cabarets? A cabaret show in Paris usually lasts around 90 min but it can be longer if you book it with a dining option. If you are interested in a cabaret in Paris but you don’t know which one to choose, check our post below with the best cabarets in Paris. Book online in advance. READ MORE – Lido Cabaret, Crazy Horse or Moulin Rouge: what is the Best Cabaret in Paris? If you have an overnight layover in Paris consider booking a hotel near Charles de Gaulle airport, especially if the next day flight is very early. Sleeping in hotels near Charles de Gaulle Airport eliminates the stress of having to wake up early in the morning and getting a taxi during the rush hour. Another advantage of hotels close to CDG Airport is that these hotels have competitive pricing because most tourists opt for an ‘in the city’ located hotel. In addition, some hotels also provide a free pick and drop from the airport if you book in advance. This is a hotel inside Charles de Gaulle Airport, which is great if you have an early flight. Guests appreciate its 24- hour front desktop, its modern rooms, and its reliable wake up call. The hotel is located on the “airside” of the airport, so when you deplane you never leave the terminal or pass through security (unless you want to go to the city). There are not many CDG Airport hotels in terminal, so book in advance. If you are looking for CDG Airport Hotels in terminal, Sheraton CDG if for you. The Sheraton Charles de Gaulle is the “Paris Airport Hotel”, the only hotel inside the Terminal 2 of Charles de Gaulle Airport which means you are within walking distance of the boarding gates. Rooms are comfortable and very quiet in spite of the airport proximity. The Sheraton CDG is one of the Charles de Gaulle Airport Hotels with shuttle service for free, very convenient if you decide to explore the City of Light. From all the hotels close to CDG Airport, Oceania Paris Roissy Cdg Airport is one of our favorites. The hotel, with a 24-hour service desk and FREE Wi-fi, is really beautiful and it features a fantastic spa, perfect for a moment of relaxation after long layover flights. This is one of the hotels near Paris Airport Charles de Gaulle, located at 1.5km from the terminals and one of the few Charles de Gaulle Airport Hotels with shuttle service for free. With a hotel like Oceania Paris Roissy CDG you will wish that your long layover in Paris was even longer! Didn’t you find the kind of Paris Airport hotel you were looking for? Click here to view and compare all the hotels near Charles de Gaulle Airport, with a Paris Airport shuttle service. Shopping: CDG airport has many shops, from duty-free shopping to gastronomy or exclusive fashion stores. If you are wondering about things to buy in Paris Airport during your layover in Paris, check this link with the list of all the Charles de Gaulle Airport Shops. Note that if you do a research by Category, “Terminal Ouest” and “Terminal Sud” correspond to Paris Orly Airport. Eating: unfortunately Paris airports do not have a big choice of restaurants for lunch or dinner plus the prices are high. If you have enough time to travel to the city, you will have a better culinary experience than at the airport. You can check this link with the list of restaurants in the Parisian Airports. Arts: Espace Musées proposes regular art exhibitions in Paris Charles de Gaulle, Terminal E. Check this link to see the current exhibitions and its exact location. CDG Luggage Storage: for those visiting Paris, CDG Luggage Storage in Charles de Gaulle Terminal 2 can keep your carry on for a few euros. For more information, exact location and prices, check their website here. Massages: Be Relax proposes passengers a wide range of Relax Services like massages, manicures pedicures. etc. Check their 7 available Spas located in Terminal 2, their proposals and pricing. Kids Entertainment: all around the airport. CAN I LEAVE THE AIRPORT DURING A LAYOVER IN PARIS? If you have a long layover in Paris (at least 5-6 hours), YES, you should be visiting Paris! However, you need to consider eventual delays of your first flight, transportation time from the plane to the terminal, and border control queues. Also, keep in mind that if you booked your flights separately with different flight companies, you will need to pick up the baggage at Paris airport and do another check in. Allow extra time to do all this. When you enter France & Schengen Area from non-Schengen Countries you must clear passport control at Paris-CDG. There are two queues at passport control: one for European Union (EU), European Economic Area (EEA), British and Swiss nationals, and a second for all other nationalities. A third queue “Fast Lane” is available for premium passengers and select non-premium passengers. It is difficult for us to tell you how long you will spend doing the passport control. In any case, allow extra time to do all this. Depending on your nationality and destination country, you may need to have a Transit Visa to make a connection in a foreign airport or cross through a foreign country. For passengers coming from non-Schengen countries, a Transit Visa (in this case a France Transit Visa) is necessary for transiting through two Schengen Countries. Also, note that a Schengen visa is needed for all connections between Paris Charles de Gaulle and Paris Orly Airport. – An Airport Transit Visa allows a passenger to pass through the international zone of an airport, without entering the country’s territory. – A Short Stay Visa is granted to a passenger who intends to go from one non-Schengen country to another non-Schengen country by crossing through the territory of France or any other Schengen member country. This kind of visa can be used for 1 crossing or many crossings, with a duration of up to 5 days per crossing. There are no shower facilities at CDG Airport unless you have access to one of its Airport Lounges. Not all the Airport Lounges at CDG have shower facilities so we recommend checking the Airport’s Lounge Review for more information. If you are not eligible to enter one of the Airport Lounges, TransitYOTELAIR (inside the airport) proposes also 1-hour shower-only packages (15 euros) for people who only want to freshen up. After some hours enjoying Paris, it is time to go back to the airport and get ready for your second flight. If long-distance flights are a bit of pain for you, check Arzo’s tips or Megan’s air travel tips to survive long-haul flights. Also, check out this list of Travel Essentials for long-haul flights. Bon voyage! As you rightly point our, walking along the Siene is enough to while away a few hours as you wait for your next flight. It a pleasure with so many things to do along the banks! You’ve definitely done some unique things in Paris! How many days would you recommend staying there to explore it properly? Dear Elisa, thank you so much for such a quick turnaround. We really appreciate this gesture :). We will be reaching on 7th September it’s a Thursday. Thanks for all the help. I have a 9 hour layover at CDG in September arriving at 10pm on a Saturday. Coming in that late at night what suggestions do you have? I’m thinking of taking my tripod and camera and just photograph the city at night….suggestions for best spots would be great. This is a great short layover plan. Haven’t been to Paris in 30 years. I will take a short layover like this just to revisit! These are great things to do when you’re short on time. We loved strolling along the banks of the Seine and visiting the Louvre at night when the pyramid is all lit up. There are so many iconic spots in Paris I just want to see everything every time I visit! What a super way to spend a few hours in Paris! I love the walking and the little local places to have a drink! My perfect day wandering and a cocktail! Fun day! Oh, in Paris there is a lot of walking and cocktails so you would be happy here, even for a short time! I’ve been to Paris a couple of times and think you definitely need more than a day to explore, but if that’s all you’ve got this is a great guide! Great read. I agree that Paris is relatively easy to walk around given how big the city is. Besides you discover a little more walking opposed to metro. This is indeed a slice of Paris in a short time. A slice that will definitely leave you asking for more. The walk by the Seine sounds so romantic. We have taken a cruise on the Seine, but did not have time to take a stroll. Hope to get back to Paris to do this. But really loved your Parisian plan for a short layover. First off, I’m loving the new look of the website. Great job!!! Second. These are amazing suggestions which remind me that I need to come back!!! Notre Dame, Eiffel Tower and the Louvre aside, what I really miss is simply sitting in the cafe’s along the Seine. I have family in Paris and been to the city countless times but despite this never get tired of visiting a couple of times a year. There’s always something new and interesting to visit or revisit. Love Paris! One of my fave cities. I’ve been a handful of times now, so tend to skip the museums and sites (though I still love to stop in at the Rodin Museum and Sainte Chapelle). Just walking around, popping into wine bars and eating an absurd amount of cheese is all it takes for a successful Paris visit! So Rodin and Sainte Chapelle?? Interesting, interesting . . .
Great advice but oh how sad to be in Paris for just a short layover! I would definitely recommend Notre Dame just because it’s magnificent. I’d also head to the Musee de l’Orangerie. Those Monet panels are just breathtaking and not to be missed no matter how long one has in Paris. That Left bank right bank thing takes a bit of getting used to doesn’t it! 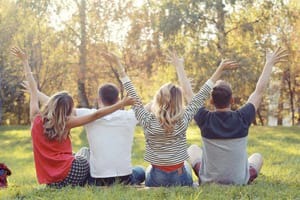 Very nice tips and suggestions. I’d certainly make notes if I were traveling to Paris. Paris is always a good idea . It’s been years since I’ve been and I really need to go back. I love tips from locals and these are great. We very much enjoyed walking round Paris when we were there, but we also love seeing cities from up high, so the top of Eiffel Tower was good for us! Unfortunately we didn’t make it to the rooftop bars you recommend – maybe next time…. Paris is always a good idea, am I right? There’s so much to do and to see around! You made a great list here! Last year we did an 18-hour layover in Paris and though it as quick, it was really fun. You don’t have to have a lot of time to really experience something unique in Paris. Montmartre is one of my favorite neighborhoods. My favorite thing to do in Paris is to walk along the Seine. Once I decided to walk from Notre Dame to the Eiffel Tower. It was way further than I expected! When you take the Metro all the time you don’t really realize the distance. But it was one of the best walks I’ve taken there. You see so much and get a feel of how the local Parisian’s live. This is exactly what I was looking for. I usually get only a short time to explore places on my travels. 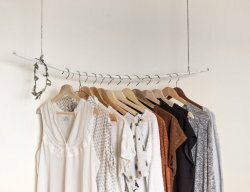 Your unique collection is so inspiring me to get to Paris right away. All the pics are simply goegeous. Also you have to take care that you do not get lost in the beautiful city or else you are gonna miss your flight. 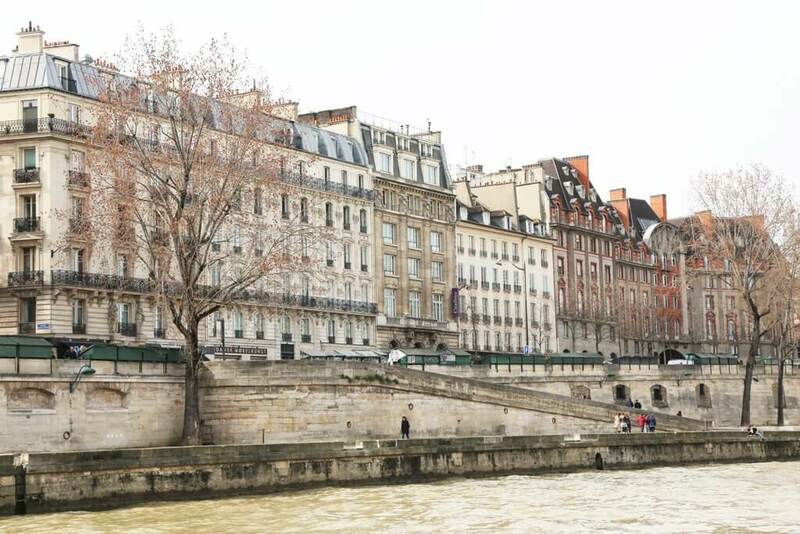 A perfect walking itinerary along the Seine! I like the sound of the bars too; you can’t visit Paris without sampling the nightlife. Will save this for the next time I get to Paris. What a tease to spend such a short time in Paris! I would definitely plan for a long layover, but I guess that even if I had a short time to spend, I would have to get out of the airport and enjoy it. I would probably find myself just walking the streets, soaking it all in – such a gorgeous city. As always, the more time I spend in Paris the more I find more little tricks like this. The rooftop bars will be on my list next time. Great guide. Makes me want to go back to Paris to do some of the things I missed. I lived in Spain and never made it to France! It was right next door and I never got there. 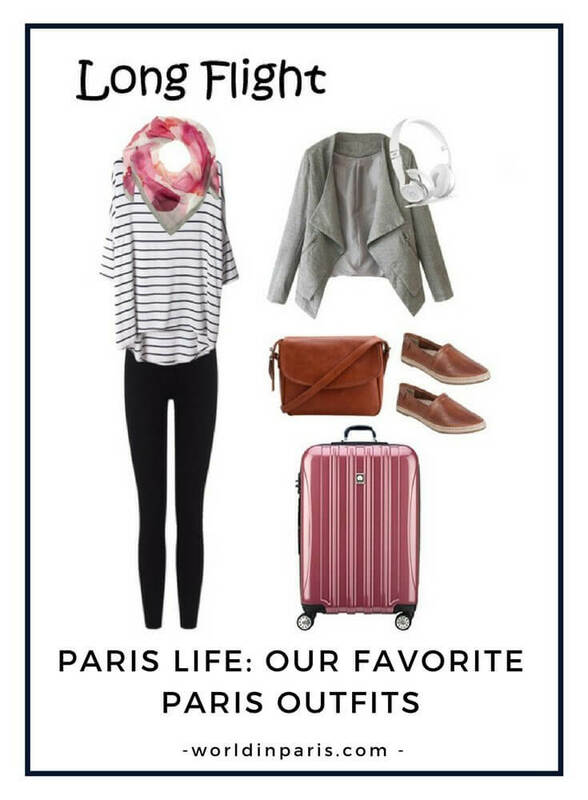 Next time I go to Europe, I’m going to try to book a layover in Paris and hit up everything you mentioned here! Paris is a playground! I’ve never been in shortage of things to do in Paris, I don’t know how I’d get around everything I wanted to see with just a layover! But great post for those short on time. There’s so much to experience in Paris. I’ve only been once but hope to be visit again. I love walking around the city so I’d really enjoy strolling along the Seine and taking in all the views. I’ve never been to Paris but I’ll have to keep this around for when I finally get there. I don’t usually drink Bloody Mary’s but I wouldn’t be able to pass up a chance to try one at the very bar where they were invented! I’ve always wanted to go to Paris! Now I know I can hit up all the main sights in Paris on a layover. Thanks for this! I adore Paris and this post is just making me want to go back there again. Such a beautiful city!